Robert Garcia high on Jesus Cuellar following Tamayo knockout; Abner Mares showdown brewing for 2015? 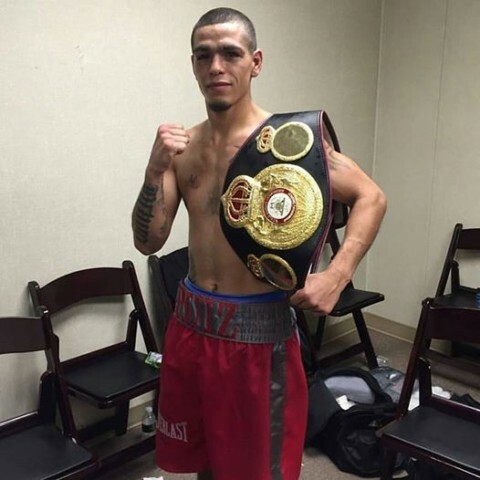 Last night, from the Little Creek Casino Resort in Shelton, Wash., interim WBA featherweight champion Jesus “El Jinte” Cuellar (26-1, 20 KO’s) won his ninth in a row by stopping Mexico’s Ruben Tamayo (23-5-4, 17 KO’s) in the fifth round. The bout was part of a four-fight Showtime Extreme telecast. 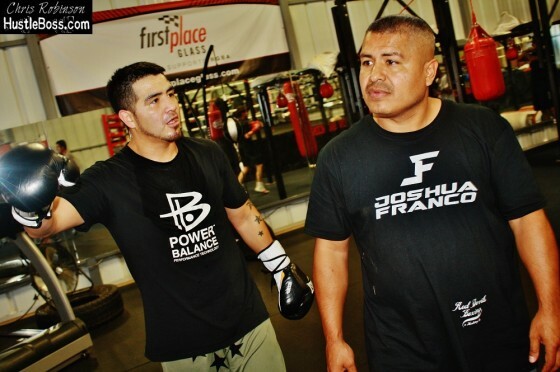 Former world champion and world class trainer Robert Garcia gets deep on Team Maidana’s grudge with Floyd Mayweather and the importance of Brandon Rios’ HBO return on Aug. 2. HustleBoss.com’s Chris Robinson speaks with former lightweight world champion Brandon Rios about the possibility of his stable mate Mikey Garcia meeting up with Yuriorkis Gamboa for a future fight. 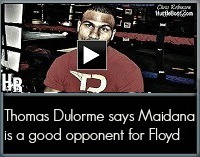 HustleBoss.com’s Chris Robinson continues to speak with trainer Robert Garcia in Oxnard, Calif. as the former world champion and Trainer of the Year assesses the possibility of his fighter, WBA welterweight champion Marcos Maidana, meeting Floyd Mayweather on May 3. 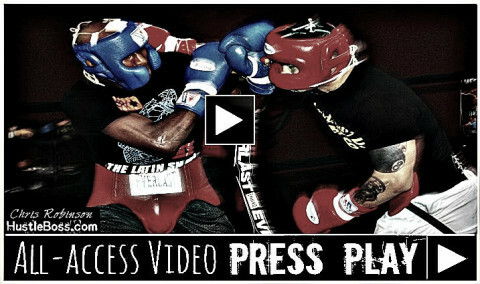 HustleBoss.com’s Chris Robinson speaks with junior welterweight Thomas Dulorme (20-1, 14 KO’s) inside of the Robert Garcia Boxing Academy in Oxnard, Calf. as he speaks on his training with Robert Garcia, why he never set anything up during his Vegas trip with Floyd Mayweather Sr., and Floyd Mayweather facing either Amir Khan or Marcos Maidana. 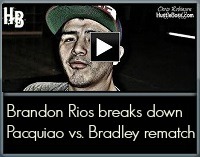 HustleBoss.com’s Chris Robinson speaks with former lightweight champion Brandon Rios about Julio Cesar Chavez Jr. facing the likes of Andre Ward, Gennady Golovkin, and Carl Froch. HustleBoss.com’s Chris Robinson continues to speak with former junior lightweight champion and current day trainer Robert Garcia, as he speaks on the performance of his brother Mikey last month in New York during his decision victory over Juan Carlos Burgos. 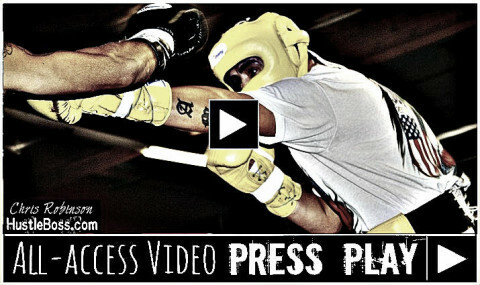 HustleBoss.com’s Chris Robinson speaks with trainer and former world champion Robert Garcia, as he speaks on the future of his fighter Brandon Rios following his loss to Manny Pacquiao this past November. 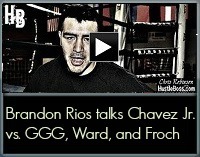 Hear what Garcia had to say about Rios against Ruslan Provodnikov in a future fight. HustleBoss.com catches up with former WBA lightweight champion Brandon ‘Bam Bam’ Rios in Oxnard, Calif. as he speaks on the upcoming April 12 rematch between Manny Pacquiao and Tim Bradley. 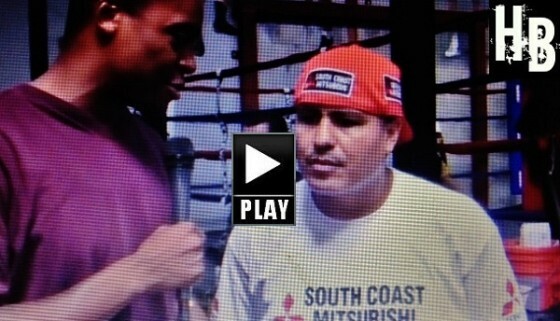 HustleBoss.com’s Chris Robinson speaks with former junior lightweight champion and current day Trainer of the Year Robert Garcia inside of his personal gym in Oxnard, Calif. as he gives details about his upcoming training with former champ Julio Cesar Chavez Jr. ahead of his rematch on HBO against Brian Vera. 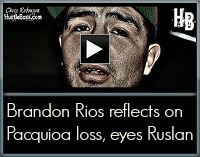 HustleBoss.com’s Chris Robinson speaks with former WBA lightweight champion Brandon Rios (31-2-1, 23 KO’s) inside of the Robert Garcia Boxing Academy in Oxnard, Calif. as he reflects on his November loss to Manny Pacquiao while eyeing a big showdown with Ruslan Provodnikov. On Friday, Dec. 13, the boxing world was caught off guard when it was revealed that former lightweight titlist Brandon Rios had failed his post-fight drug test following his defeat to Manny Pacquiao. Rios, who dropped a unanimous decision to Pacquiao on Nov. 23 in Macau, China, was found to have traces of methylhexaneamine in his system. The drug is commonly associated with dietary purposes.